After payment text your name, your e-mail address and bank teller number to 08060565721 and you’ll receive your GOAT FARMING BUSINESS PLAN / FEASIBILITY STUDY PROPOSAL AND BONUS MANUAL PDF. Do you want to begin a goat farming business and need detailed information about it? You are at the right place so search no further. Goat farming with the right knowledge is a very lucrative business. Rearing goat is a kind of business that the profit is not always determined by how large the capital is. Profit is determined by proper knowledge of the business. This is the reason why it is also necessary to be in contact with a person who has been into the business for practical assistance. Modern goat meat production is not discriminated against. It is accepted by all ages, culture, religions and races. It is available in most restaurants and entries. Hence the lucrative nature if the business. Rearing goats does not require much capital as compared with other agribusiness opportunity in livestock farming. Goats can survive harsh weather condition. Therefore though a farm house is necessary, it is not a priority. Goats are widely accepted by religious bodies and cultures. It is used in most celebrations and used for payment in some traditional settings. It is quite easy and the raising of goat for milk and meat can be comfortably done in a backyard without much environmental hitches as compared to other farm animals. In goat rearing, there are lots of ways to make profit. Apart from the milk and meat gotten from it. It’s skin is also useful and can be sold. Manure can equally be gotten from goat. You have to make up your mind about what you really want to sell from your goat farm. You also have acquire all the necessary information about which goat is in high demand in the market. This is important so that you can invest wisely and not lose your money. You can take a step further and buy a hand book farming guide or video. The goat you choose to breed should be one that can easily be sold in a nearby local market. This would remove the stress involved in searching for buyers from far places . You also have to make sure that you have the appropriate vegetation and area of land needed for a successful goat farming. Nevertheless , if you have the facilities and means of marketing your products internationally, that is okay. However you need to decide on exactly what you will be producing and marketing in your goatery. Goat meat is known to have low cholesterol, so is in high demand. Running your goat farm solely for meat production is not a bad idea, especially when you have the necessary equipments. Breeds of goat mainly for meat are include;Boer, Black Bengal, Matou etc. Goats milk are more digestible than cow milk. So it is in high demand in both local and international market. Dairy goats include ; Anglo-Nubian, Saanen, Alpine etc. No one says no to extra cash and this can easily be gotten by selling goat manure. It is a very good organic fertilizer. All goats have skin but only a few breeds have a good quality so make your decisions wisely. The Black Bengal is a good breed for high quality goat skin. 1. Try at all times to be as hygienic as possible. This will prevent loss as goats if not properly taken care of also suffer from different diseases particularly during gestation. Vaccinate your goats as required. 2. Have a plan on managing and offering your goats for sale. A typical breeder goat farm will take 2-3 years before it starts yielding profit. Having a plan will enable you to understand the business part of a successful goat farm business. 3. Select a suitable location. Your indoor goat farming project should be in a place where food can be easily assessed. This reduces the stress of going to far distances to get grass for the goats. If the location is closer to a bush, the goats can be allowed to feed themselves but has to be with supervision. 4. It is advisable to purchase your goats yourself. When you’ve made up your mind on the type of goats you want to rear it is better to purchase your goats yourself as you will interact with experienced goat farmers and make your last minute decisions. Books and project report also goes a long way to help in making decisions concerning the purchase of your choice goats. 5. Finally, put your current income and budget in consideration when planning the purchase and rearing of your goats. 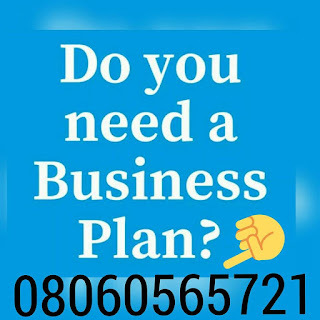 After payment text your name, your e-mail address and bank teller number to 08060565721 and you’ll receive your GOAT FARMING BUSINESS PLAN / FEASIBILITY STUDY PROPOSAL AND BONUS MANUAL.